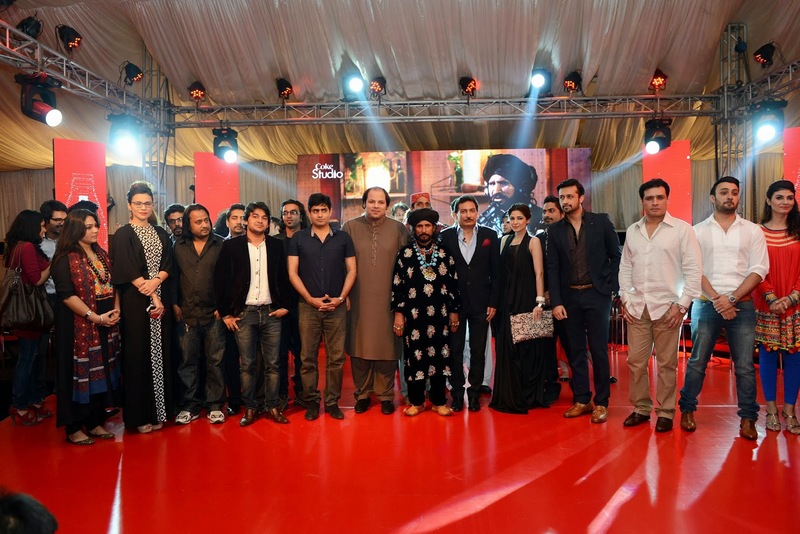 Coke Studio Season 6 Release date announced! [Lahore: 02nd October 2013] Coca-Cola Pakistan proudly announced the return of the nations’ most anticipated music platform, Coke Studio, at an acclaimed press conference where as sixth season of exciting talent, diverse musical influences and dynamic performances will be aired October 2013. This years' Coke Studio voyage will witness a fusion of Eastern, Western and regionally inspired music for which the platform has come to be renowned. However, this season goes deeper in its journey, exploring the international heritage of popular local music genres, tracing these global influences that have left an indelible impact on Pakistan's national and cultural musical identity. To that end, Coke Studio's cross-genre Pakistani musical talent will be joined by international musicians trained in both contemporary and traditional instrumentation. Hosted by media personality Anoushey Ashraf, the press conference was opened by a musical rendition of the National Anthem followed by a minute of silence in remembrance of the Peshawer bombing and Balochistan earthquake victims. A video recapturing the essence and influence of the past 5 seasons of Coke Studio was screened thereafter, following which the host invited Rizwan U. Khan, General Manager of Coca-Cola Pakistan and John Seward, General Manager of Coca-Cola Beverages Pakistan Limited (CCBPL) onto the stage. An exclusive Season 6 session preview, featuring Muazzam Ali Khan and Fariha Pervez titled ‘Jogi’ was also screened for all the attendees. Anoushey then invited participating talent from Coke Studio Season 6 on stage after which Rizwan U. Khan and John Seward unveiled a limited edition commemorative coffee-table book as conceived, compiled and published by Markings, titled “Coke Studio – Sound of the Nation” - a vibrant visual journey that charters the cultural, social and emotional impact of a music platform that has regaled Pakistani and international audiences for over five years. As then explained by Rizwan U. Khan while addressing the audience, Coca-Cola continues to champion the belief that music has the power to bring people closer and that Coke Studio specifically, continues to transcend ethnic, age and cultural barriers and to influence positive change. Anoushey then introduced and invited on stage Mr & Mrs. Tawab from Rising Sun Institute, a not-for-profit organization for special children, which has been supported consistently by Coca-Cola, to recognize and indeed thank them for their pioneering contribution towards special education in Pakistan. The event was managed by R-Team with Public Relations by Lotus. In this evolutionary step, Season 6 will incorporate global music influences spanning from Fes, Morocco, to the Balkans, the Ottoman, and Kathmandu, Nepal. With this added dimension to its sixth season, Coke Studio endeavours to make Pakistani music more accessible to a global audience, while at the same time encouraging international artists to adopt and integrate Pakistani music influences into their own compositions. Coke Studio Season 6 features the following artists: Abrar-ul-Haq, Alamgir, Ali Azmat, Asad Abbas, Atif Aslam, Ayesha Omar, Fariha Pervez, Muazzam Ali Khan, Rostam Mirlashari, Rustam Fateh Ali Khan, Saieen Zahoor, Sanam Marvi, Sumru Ağıryürüyen, Umair Jaswal, Zara Madani, Zeb & Haniya and Zoe Viccaji.